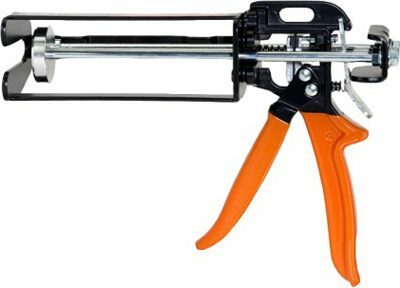 Dispensing Guns are designed as a non-drip mechanism and to make adhesive cartridges easier to use and dispense. They have a steel frame, provide powder-coated finishes with plastic-coated handles, and perform a thumb-activated instant pressure release. Comes in 215 ml, 250 ml, and 500 ml.